One of the best Taco Tuesdays here on Oahu is at Mai Tai's, located in Ho'okipa Terrace at Ala Moana. Read about my original post here. Recently went here for a very early Happy Hour (on a Tuesday. 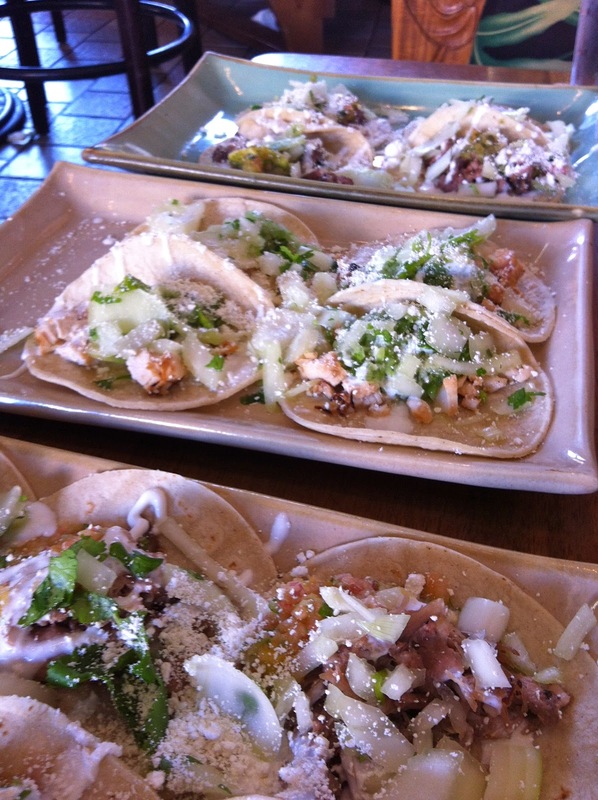 Pictured below are 3 plates of chicken/pork/steak tacos!) with friends around 330pm, and really enjoyed the cool breeze and comfy couch chairs. I like the fact that it's not crowded around that time either. I highly suggest their Passion fruit Mojito, Lychee Mai Tai or their Caramel Apple Martini. 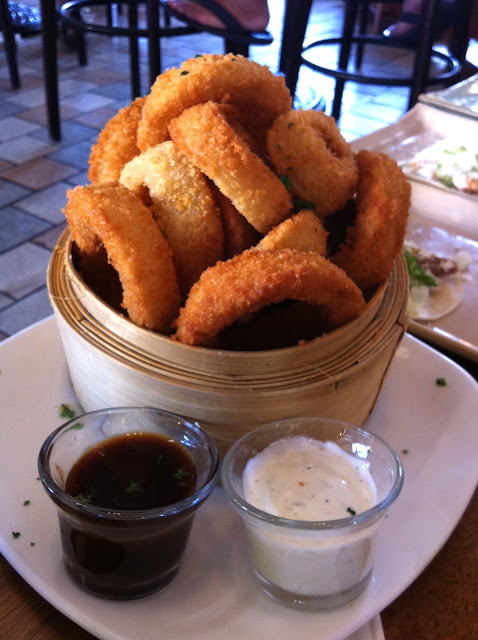 Happy Hour eats are also really delicious and inexpensive for an afternoon snack!